Welcome to a new Book Journey! We begin with a review of this book, Interrupted, by Jen Hatmaker. Over the next five weeks, I'll publish one post weekly for each of the five sections of the book. You can find a schedule with more details at the end of this review, as well as links to past Book Journeys. Thank you for reading along - whether it's the actual book, these summary posts, the daily quotes on the facebook page, or at any level! I pray the Spirit can use the teachings in this book to deeply transform each of us to love and live more like Jesus. I managed to attend church three times a week as a fetus, fulfill the pastor’s kid role, observe every form and function of church, get swallowed whole by Christian subculture, graduate from a Baptist college, wed a pastor, serve in full-ministry for twelve years, become a Christian author and speaker - and misunderstood the point. I am still stunned by my capacity to spin Scripture, see what I wanted, ignore what I didn’t, and use the Word to defend my life rather than define it. And, what exactly is "the point" Hatmaker is referring to? In the pages that follow, Hatmaker shares with readers how her “consumer, comfortable life was divinely interrupted.” She describes how God replaced her complacent, safe version of Christianity with an unleashed passion to pursue Jesus among the hurting, broken, and messy for his kingdom. It's a story of ordinary disciples, a story that could happen here or there or anywhere, and a beautiful call to examine our hearts and our attitudes as we follow Jesus. 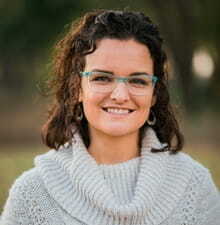 Looking back, the interruption began with honest questions about church and pastoral work, centering on her nagging thought of “why do I feel so dry?” In response, Hatmaker describes how she made empty plans to do more and perform better - disciple more, better prep time, more communication, more compassionate to others. Yet, one day while driving home with noisy kids in the backseat, she prayed simply, “God, raise up in me a holy passion,” knowing only that her Christian labor had failed and she had no idea what else to do. I couldn’t quite put my finger on it, but there was … something off for me. That something was fueled by several particulars challenging my concept of success, beginning with the sensation that Brandon and I were far too consumed with worthless things. We spent unhealthy amounts of time dreaming about our next house, our next financial increase, our next level of living. Next. We were the opposite of counterculture. We were a mirror image of culture, just a churched-up version. I was vaguely aware of this, but having invited exactly zero people into our lives who might challenge this position, I easily diminished the thought. Over the next days and months, God began to answer that prayer. He started to open her eyes to the issues like excess and materialism, the plight of the many less fortunate lives both locally and globally, and the sometimes inadequate response of the church. Through prayer, Scripture, and divine conversations, God allowed Jen and her husband, Brandon, to see His kingdom mission more clearly. Eventually, the Hatmakers go on to plant a missional church in Austin. The book shares the church's core values, vision, and early formation. Based on their experiences, Hatmaker shares with readers about the paradigm shift they believe must take place in church and church-planting, given the climate of today's society -- from Christians attracting people to a church building with wonderful programs to Christians becoming broken and poured out for a world who longs to be "shown church not just invited to it." She talks about this need based on statistics of diminishing numbers of young people coming to church buildings as well as today's postmodern mindset. Simply, I was intrigued by this book and Hatmaker's perspective. I didn't expect a book with such honest critique and genuine reflections as this one to come from someone smack-dab inside American Christianity. It's easier to raise questions and offer unbiased points of view when you don't feel intrinsically wound into a subculture. However, when that subculture is you, is your foundation, and is your springboard, it's only with the Spirit's guidance can you be given new eyes to see. I admire author Jen Hatmaker for bravely following the Spirit's promptings, even when it meant starting to ask hard questions. Even when it meant letting God expose the ways in which she'd misunderstood and even when it meant being divinely molded in a new way. The Hatmakers were willing to let God open their eyes. And, most importantly, they responded with obedience. For that, I appreciate and chose this book, as a testimony of faithfulness and courage. Quotes will be posted from intro sections on facebook for discussion this week. Quotes will be posted from Phase One on facebook for discussion this week. Quotes will be posted from Phase Two on facebook for discussion this week. Quotes will be posted from Phase Three on facebook for discussion this week. Quotes will be posted from Phase Four on facebook for discussion this week. Quotes will be posted from Phase Five on facebook for discussion this week. BlOG POST // The post for each of the phases of this book will include a summary, discussion questions, and relevant links. FACEBOOK // Each week, following the post on that particular phase, I will share quotes and excerpts from that phase for online discussion. Please join in!